A beautiful gift. A heartfelt gesture. A loving tribute. 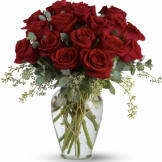 This absolutely stunning red rose arrangement will deliver your care and compassion beautifully. 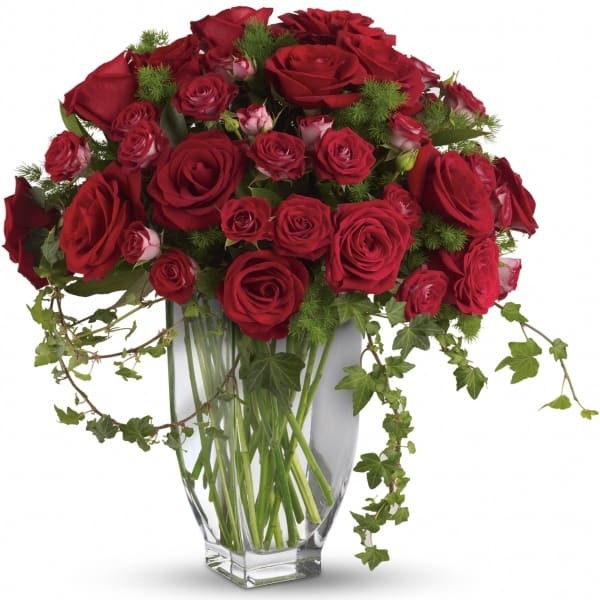 • Brilliant red roses and spray roses along with vibrant fern and ivy are perfectly arranged in an exclusive Jewel vase. 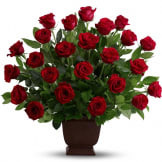 • This arrangement measures approximately 19 1/2" W X 20" H.
Flowers will be received by a Lee Funeral Home's staff. 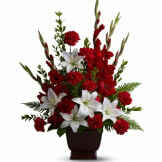 This was a beautiful arrangement that lasted for a very good period of time after the funeral. Just BEAUTIFUL!!! All of our flowers are designed and delivered by hand from a local florist in in Clinton.